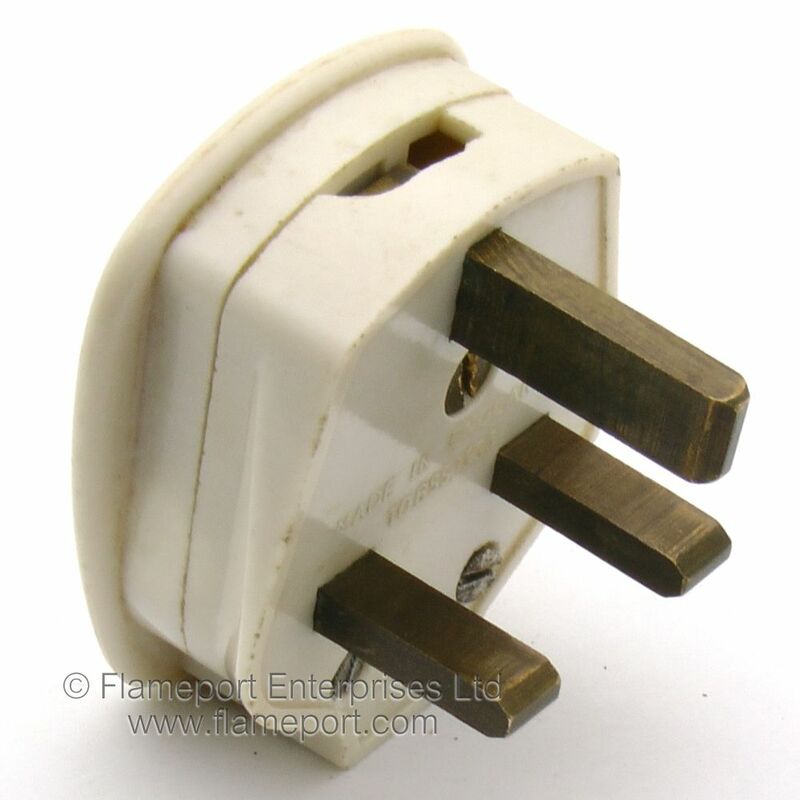 A white plug with ROCK logo. 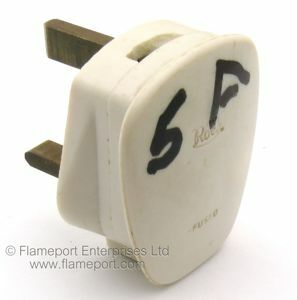 Rock branded 13A plug made from a hard white plastic. This example has '5A' written on in black marker pen, the lid has the Rock logo and the word FUSED. A section is broken away at the top - typically a small hole would be there to allow inspection of the earth wire. The fuse is a 5A one as the writing on the lid suggests. Terminals are identified by colour - GREEN, BLACK, RED. These colours were used prior to 1971. 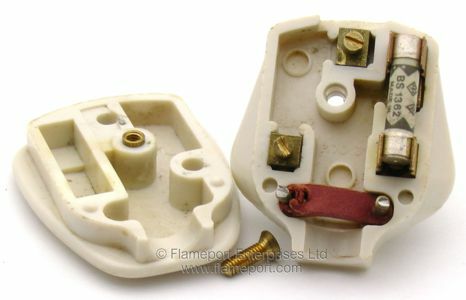 The flex grip is a flat bar, and one of the screws has ripped out of the material making it impossible to secure the flex. A single brass screw secures the lid. 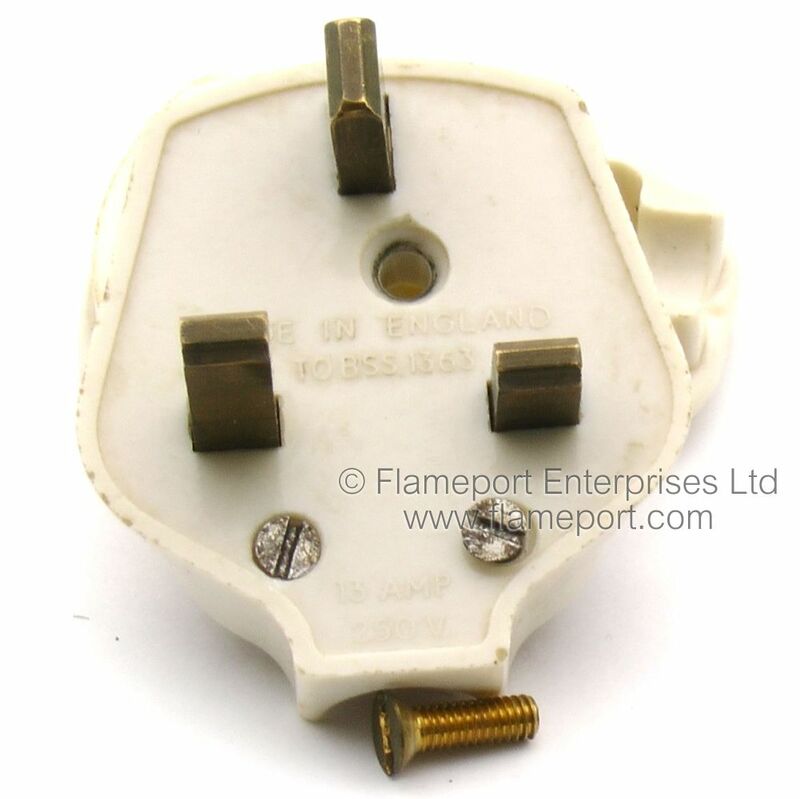 The pin side is relatively plain, with only BSS1363 and MADE IN ENGLAND. Pins are unsleeved brass, and are of the style which easily fall out when the lid is removed.